Tempo offers high quality mission-focused training for young leaders in their 20s and 30s who have a vision to make a difference where they are. September 2013 will see new Tempo groups starting in Belfast and Dublin. There are still places available – if you would like to know more see www.innovista.org/tempo. We will also be running a Tempo group for interns with a variety of organisations including Scripture Union Ireland and the Solas Project. Contact us to find out more. Tempo begins by exploring mission and context, so with our 2012-2013 intern group in Dublin we visited the Anchorage – a mission project in Ringsend (beside the Dublin docks). 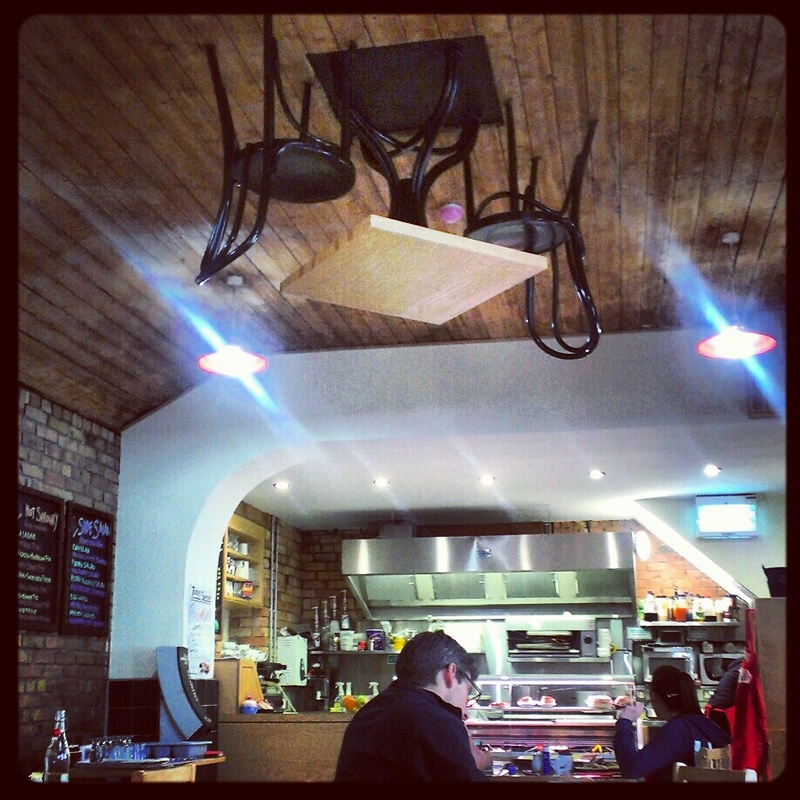 The upside-down table and chairs on the roof of their cafe is a visible reminder of the upside-down nature of God’s kingdom.